I’m the owner of Carson’s Brewery in Evansville, Ind. A few years ago I was looking for a career change from selling heat transfer fluid. Starting a brewery seemed like a logical move! I was fortunate to run into several people in the brewing industry and brought a group of guys together to make great beer. After countless test batches, we came up with our six core brews along with barrel-aged projects and several seasonals. We got our small brewers license in March 2013 and slowly worked up to 10 establishments on a half-barrel system. Our new 20-barrel brewhouse from JVNW was completed in September and it was game on from there, gaining as many places as we could. As time is rapidly going by we are expanding into more and more counties in our state. Our latest projects are barrel aging and bottling 12-ounce bottles. The craft beer community has been extremely generous and open with us as we began our journey all the way up to now. 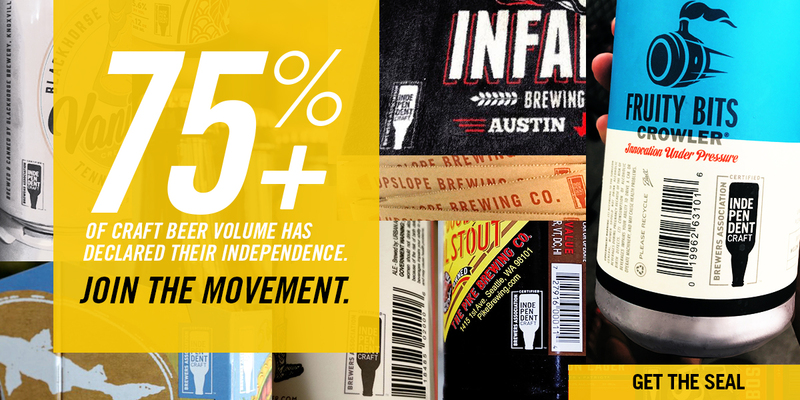 Without the help of several breweries, we would be struggling to get to where we are today. There are so many that helped, it would be hard to list them all here and not forget someone, so thanks to all of them! In the little free time I get, I like traveling with my family, playing with my kids, and watching them participate in sports. Carson’s Red Dawn with a wood-fired sausage pizza, followed by Kentucky Bourbon Barrel Ale and pecan ice cream. Flat 12’s Moustache Ride Red. While in Colorado for GABF 2012 we visited several top-notch craft breweries. Odell Brewing Company is one of my favorites and I still have dreams about how awesome New Belgium is!